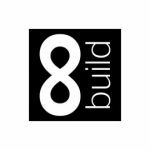 Read on to see how these businesses will save time, money and increase efficiency by replacing manual processes with industry specific construction software from Eque2. Working in construction, it’s extremely important to manage your job costing processes effectively so you can protect your margins and have visibility of your cash flow. Eque2 welcomes another 4 businesses which currently rely on multiple standalone spreadsheets to manage their business processes, wasting valuable time and resources. Not only are spreadsheets extremely time consuming to manage and update, manual data entry can often lead to mistakes that can badly impact your finances. Eque2’s industry-specific construction accounting software provides you with functionality designed to manage the full construction and contracting lifecycle, allowing you to leave the office on time each evening with a completed task list and peace of mind. Specialists in the provision of water, gas, electricity, and telecoms supplies to new residential, commercial, and industrial developments. 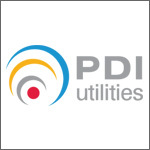 - PDI Utilities have continued to grow year on year and needed to implement a solution that would support growth and increase the efficiency of their business. PDI were relying on manual spreadsheets to manage their industry-specific requirements which was extremely time consuming. As a Sage 50 Accounts user for over 18 years it was crucial that they implemented a solution that offered full integration into Sage 50 Accounts. PDI made the decision to implement Construction for Sage Accounts which offers them a fully integrated contract management solution and has allowed them to provide senior management with key contract performance data in an accurate format. Provide a specialist one-stop service for setting up sites on construction projects. 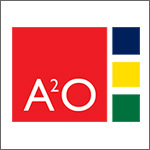 - A20 Group have now expanded into 3 companies including A20 Cladding, A20 Hoarding and A20 Site Set up. Due to the growth of the business they have begun to face numerous challenges due to the reliance on multiple spreadsheets to track their projects effectively. As a Sage 50 Accounts user the business decided to move forward with Construction for Sage Accounts to streamline their manual processes into one fully integrated Sage platform. Heating, air conditioning and maintenance services contractor who offer a complete engineering service for commercial and industrial buildings. 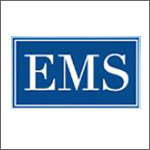 - EMS approached Eque2 as they were looking for a solution to help them minimise the number of manual spreadsheets they had running alongside their Sage 50 Accounts, Sage CIS and Sage Job Costing solutions. Although the business was using an industry-specific solution this only provided them with limited functionality. Not wanting to replace their well-established accounting system, Construction for Sage Accounts was the perfect fit, by adding the Construction for Sage Accounts module EMS now have the fully integrated solution they require. By replacing their manual processes EMS will save vast amounts of time within their business. 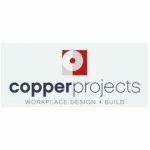 Expanding contractor with extensive experience in all aspects of construction from new build homes to commercial and refurbishments. - Marfleet were a previous Sage 50 Accounts user but switched to Pegasus Opera and their Construction CIS module in a bid to replace their manual processes and implement an industry-specific solution. Unfortunately they faced a number of issues when trying to implement the Pegasus solution and thereon reverted back to using Sage 50 Accounts with manual spreadsheets alongside. 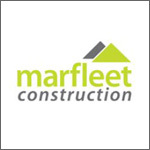 Marfleet have now invested into Construction for Sage Accounts to support their fast growing business, this will offer them the fully integrated industry-specific solution they require.